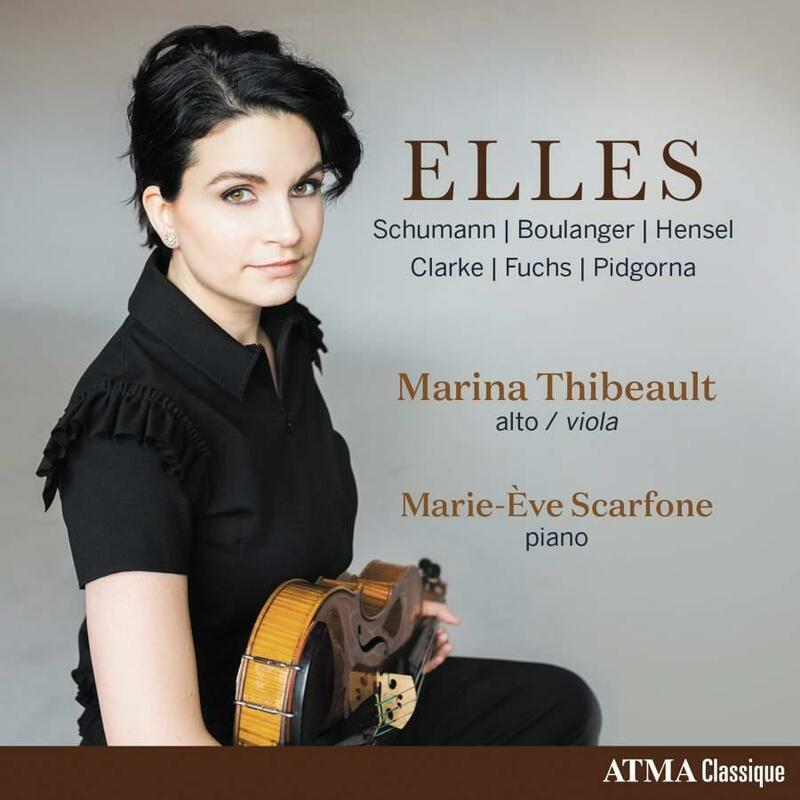 In a similar vein to Women of Note, and again to coincide with International Women’s Day, French-Canadian violist Marina Thibeault has released an album featuring chamber music by some of the most famous female classical composers. Opening with Clara Schumann’s Three Romances for Violin and Piano Op. 22 (arranged for viola), and concluding with Anna Pidgorna’s viola solo ‘The Child, Bringer of Light’, Elles showcases not only the genius of women who, against much resistance, composed great music, but also the work of two very fine young Canadian chamber musicians, violist Thibeault and pianist Marie-Ève Scarfone. Listeners may well be more familiar with the music presented here than on Women of Note, and some may be surprised to discover that this rich repertoire was actually composed by women. Rebecca Clarke (1886–1979) was herself a violist, and her 1919 viola sonata was awarded equal first prize in a competition sponsored by fellow musician Elizabeth Sprague Coolidge. It’s one of my favourite pieces on Elles – the opening unaccompanied viola solo is exquisite, played sensitively by Thibeault. Pidgorna’s piece is also outstanding, highlighting the diverse sonorities of Thibeault’s instrument. Another fine contribution to the growing discography of music by women. Alexandra Mathew is a classical music specialist at Readings Carlton.